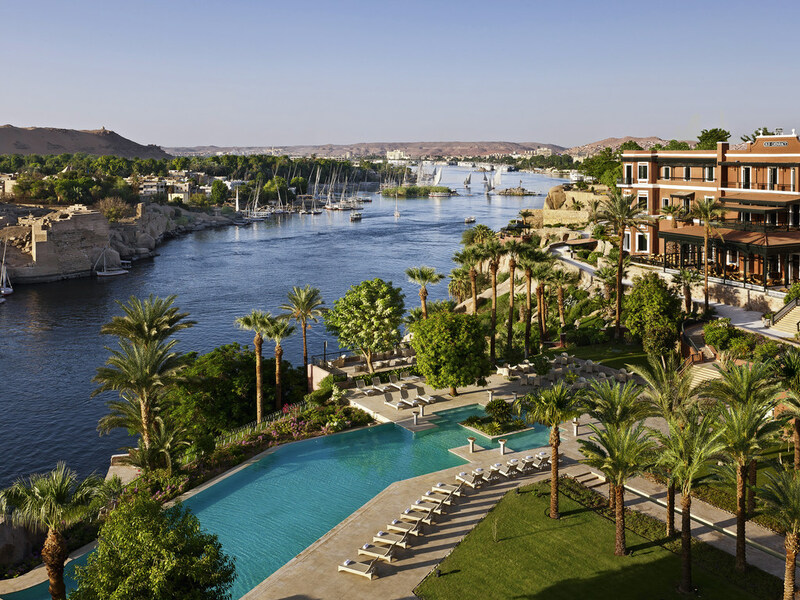 If you can tear yourself away from the beauty of the magnificent Sofitel Legend Old Cataract Aswan, a world of fascination awaits you. Elephantine Island and the Aswan Museum are at your feet. The rock Tombs of Amarna, where ancient Egyptian nobles are buried, are close to the hotel. Aswan city centre is a stroll away. Other attractions to tempt you during your stay: the Nubian Museum, the Philae Temple, the Unfinished Obelisk... then return to indulge in French and oriental cuisine and wines. As always a most wonderful experience, its our favourite place to go to. Its excellent location, the beauty surrounding this exquisite building , the peaceful positive energy and all this is only made complete by the lovely, friendly & efficient staff that clearly love what they do. It was too much better than my my expectations. Beautiful hotel, excellent service, we enjoyed two wonderful days. The service in all the hotel areas was excellent The atmosphere and environment of the hotel was great The only comment I gave during my check out, the water in the bathroom sink did not evacuate well, it was very slow. Room 1225. I thoroughly enjoyed my stay! Every detail was in place, the hotel was beautiful and relaxing. Excursions are readily available for those who choose activities. The hotel and grounds are a pleasure by themselves. The staff is neat and professional. The restaurants; 1902, Terrace, and Bar provide quick service and delicious servings. Caralene speaks good English and keeps everything moving while guests dine with the beautiful view. My butler, Shawky anticipated my needs and ensured that my stay was comfortable. Mohamed (“Uncle”) at the bar took care of me for a couple of hours as I waited for my room to be prepared since I arrived early. I recommend this venue and I will return again at my earliest opportunity! A hotel such as this is expected to be excellent, but the reality is better than that. I stay in many 'excellent' hotels, but The Old Cataract is as close to perfection as I have ever experienced. The Cataract is one of the best hotels we ever stayed in! From the moment we entered the hotel, the experience was perfection. It was wonderful. Best hotel we have stayed at. The hotel room was fantastic and the service was great. The grounds were incredible. Really liked the hotel look, feel and service, both the old and the new. We stayed in the latter and thought the room itself and the view were excellent. Lovely, friendly and helpful staff. The hotel is amazing in terms of being authentic, service and hospitality of the staff. I specifically would like to thank Mr. Osama Sayed, Mr. Islam Khaled and Mr. Hossam Ahmed along their team for their excellent hospitality. I would definitely like to come back for vacation. I recommend that you improve the quality of food as it was somehow below average. Although the Hotel is very grand and the accommodation is excellent, the restaurants were a disappointment. As a resident being accosted on the Terrace Restaurant by the person in charge with the remark “only residents allowed to eat in this restaurant” when we had already been there for two days was off putting. It may have been a difficulty with language but perhaps a polite request for a room number might have been better. We enjoyed an excellent meal in your 1902 restaurant but the same could not be said of your other eating places. We also stayed at your other Hotel in Luxor The Winter Palace which did live up to all expectations, The Old Cataract sadly did not. Our room and service were wonderful. We were disappointed with our evening at 1902. There was apparently not enough staff to accommodate the guests. One member only did flambé while one managed the room. Our waiter poured one glass of wine when dinner arrived and never came to ask or pour another glass. They cleared our plates (they did ask about desserts which we declined) and we sat for 25 minutes watching the small staff take care of guests. We finally got the attention to get our check and take our bottle to our room. It was memorable. The room is spacious and looks exactly like the one I booked on the website. Comfortable bed and furniture. 2 huge balconies with lounge chairs and sofas overlooking the Nile & Elephantine island, the deserts and the horizon beyond. Just magical. Huge bathroom with bath tub dressing room, coffee and tea room with capsules coffee machine, bar fridge, sitting room with day bed and sofa. 2 TVs etc etc. I had dinner 2x at The Terrace and it was yummy. Dessert was a bit of a disappointment and the maitre'd waived the charge Breakfast at The Oriental was a bit touch and go. The pastries, croissants etc. I don't think they are freshly baked but okay. The hotel reflects the beauty and depth of the Egyptian history and culture. The location is breathtaking. You feel content and comfortable. The crew are very professional, hospitable, polite and friendly. Very pleased with my stay and looking forward to returning back.